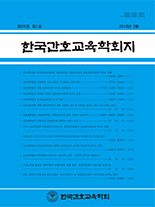 김효정,(2012).간호대학생의 외모에 대한 사회문화적 태도, 외모만족도, 신체이미지, 자아존중감이 대인관계능력에 미치는 영향.한국간호교육학회지,18(1),62-70. Purpose: The purpose of this study was to identify the effects of sociocultural attitudes toward appearance, appearance satisfaction, body-image, and self-esteem on interpersonal relationship ability of nursing students. Methods: The study was designed as a descriptive survey study. The subjects were 753 nursing students of three nursing colleges. Data were collected by a structured questionnaire and collected from April 1 to May 31, 2011.The collected data were analyzed by using the SPSS/WIN (ver.12.0). Results: The study showed significant differences in the score of interpersonal relationship ability according to gender, economic status and physical health status. The score of interpersonal relationship ability had significantly positive correlations with appearance satisfaction, body-image and self-esteem. Hierarchical linear regression showed physical health status, body-image and self-esteem were independently associated with interpersonal relationship ability. These three predictors accounted for 37% of the variance in interpersonal relationship ability. Conclusion: Physical health status, body-image and self-esteem were the predictors influencing interpersonal relationship ability. Therefore, these factors should be considered when developing intervention programs for interpersonal relationship ability for nursing students.